Captain America: Civil War is a gargantuan, a film hardly marketed that has cemented the legacy of Marvel if it hasn’t been chiseled into a Mount Rushmore of its own already. I saw this beauty with friends yesterday and what a euphoria I exhibited afterward. As expected, Civil War makes Dawn of Justice look like the chump that it is, the guy with a big mouth but no product or skill set to back up what he’s selling. Meanwhile, Civil War carries a soft stick, at least to this most recent outing and craters the ground that lies beneath it, sending shock waves along the terrain and bringing the fruits of Marvel from coast to coast. My friends and I were static, fixated on the pure amazement of this gem. One questioned how long Marvel could do this, an appropriate response to a rapid succession of homers for Marvel while DC struggles to hit singles. I’ll be honest when I say I don’t want to answer that question. I have not seen a film company hit the nail so soundly in Hollywood. Marvel has become, to quote Chic Anderson’s call in the 1973 Belmont Stakes, a “tremendous machine.” Its cogs are firing like the fists of Rocky, repeatedly charged with the same amount of effort, endorsement and impact as the one thrown before it. They’re all planned under the vision of a strategist who has the mind of a chess protegé, someone who has both the patience and the prescience to outlast any competitor. Every sequence of dialogue is laid over a firm plot and sociological landscape. Every stunt has a punch behind the punch. Every character has a stairway to ascend, a fall to take and/or a redemption to pursue. To compare Marvel and DC is to compare an experienced elevator of talent and technique to youthful arrogance and ignorance. There is no comparison. DC has no firing gun or secret serum it is waiting to unleash. It is outmatched in every way, from the people behind the camera to the people in front of it. After Civil War, I see no possible outcome in which DC comes out on top. Marvel is the king and with Civil War, it squashes all competition. These are the halcyon days and I plan to do nothing but bask in the aurora modeled in front of me. There will come a time when we will miss when Hollywood was this good, to the point of effortlessness and when that time comes, it will be too late to join them in the sun filled with heavenly elixirs. This is not to say that DC films are wiped off the face of the Earth. They will make climbing profits and please DC fanboys and children who continue to turn a blind eye to what is becoming borderline incompetence. Even I will appease DC and pay to see a faltering main event if only to see Batman and Superman again and be reminded they still exist but if DC ever becomes cavalier enough to premiere one of its products alongside a Marvel feature, rest assured a majority of the world, in a resounding decision, will give their money to Marvel. Civil War is great for the story line it churns out. After another incident in which the Avengers must come to save the day, some civilian lives are lost, causing the United Nations to devise a contract for the Avengers to abide by. Tony Stark, who’s slowly become unraveled after each progression in the MCU, continues to fall into fear of what could be. In his quest to conquer said fear and find inner peace, Stark signs. Captain America, on the other side of the coin, refuses to do so. No doubt pushed to this side by the integration of Hydra into Shield in the Winter Soldier, in addition to the corruption and expediency in government, Cap is reluctant to shed his freedom and allow himself to become a pawn for the world’s leaders. This discussion on modern politics and technological advances is ingenious as it is one of the main controversies in today’s society. Captain America can see that America, a place that was once free across the board, has been saddled by the incessant need for security while Iron Man believes all that can be done to protect people should be done. Both sides have chips on their side, both in this film and in our culture presently. The idea of world leaders blaming the Avengers for the damage that’s been done seems erratic and illogical. If it wasn’t for the Avengers, the world would have been taken over by Loki’s army. If it wasn’t for the Avengers, Ultron would have destroyed the world and I haven’t even mentioned all of the other catastrophes that have been avoided in the individual Marvel films. The world would have ended more than five times over if not for the Avengers. While it seems absurd to me, the world has shown, time and time again, that they must be in control to feel comfortable. What people cannot control they fear. Some people are just as afraid of the Avengers as they are of the interdimensional villainy that keeps taking disaster-filled vacations to Earth. Like we see in Dawn of Justice, Batman fears Superman because of what he could do, not necessarily what he will do. One would argue, “Well, just because they can do it doesn’t mean they will. I mean, with that mindset, you’ll walk around thinking everyone is a psychopathic serial killer.” Those who side with Batman in Dawn of Justice and with Iron Man here do so out of fear or because they really like the character of Iron Man. I love Iron Man, too, but the premise served to us is not, “Who do you like more, Cap or Iron Man?” The question is, “Do you think superheroes should be controlled by the world’s elected officials? Should the world, not superheroes, be the ones in control?” There will always be loss, but would the constraint and restriction of superheroes benefit us? And if so, do you believe that politicians will hold their side of the bargain? Do you think the world’s leaders will treat superheroes like the people that they are and not cage them like freaks? This film has a discussion on the anti-LGBT legislation here in America if you look close enough. It has a commentary about the cultures that are pervading this country. There are a lot of questions posed in the Russo brothers’ two-and-a-half hour blockbuster and this is a great thing. This parlance and the way that Marvel interweaves current events and sociological discussions within its narrative is one of many things that makes this film and studio so powerful. It is a perfect mesh of applicable material, character embodiment and the dreams of our younger selves. It is a film that everyone should see. Knowledge of superheroes is superfluous. This is what an empire like Marvel can do, mesmerize all audiences if they give them a chance to do so. It’s not just the subject matter, but the deliverance of its execution. Every step is taken with humble confidence like a man who has built his reputation on aplomb and equanimity. It is not stoicism but a confidence that is unwavering, a Curryesque humility that excites rather than bores. We know the visual drum roll when we see it. We spot the tempo changes and we can feel the flaring of the tide. The Russo brothers make this conflict of the world’s heroes seem less like the crashing of mighty waves in the middle of a storm and more like the apotheosis of an emotion-laden and articulate dance, finely crafted and executed by the pioneers of its creation. It’s patient with its cast of characters and its agenda. While Dawn of Justice displays a rushed, last-second effort to catch up to the MCU’s gradual progression, Civil War is a grandioso concerto that serves as a prelude (yes, a prelude) to the pieces that have yet to be flaunted. That might be the best takeaway from the Russos’ masterpiece here: there’s still more. After all the time we have spent with these characters and all of the highlight reels Marvel has given us, this is not the end. We will still spend time with Robert Downey, Jr.’s Iron Man, who is easily the most changed character since this galaxy was painted. There will be more time for Chris Evans, one of the best redemption stories I’ve seen from Hollywood in my lifetime. I still can’t believe the man who made a fool of himself in Fantastic Four all those years ago has not only redefined himself to such grand proportions but has become synonymous with Captain America. What a turnaround. There’s Mark Ruffalo’s Hulk, who after numerous failed attempts by others has defined the green monstrosity. Sebastian Stan’s Bucky continues to battle his inner demons while asking us, “Is it too late for redemption?” Every player accentuates a role and has a story to tell. No one is a sideshow. Some are just more prominent than others. These characters have plenty of tarmac left on the runway before they launch for their trip into the stars of Hollywood fame. Whatever’s in store for them, they’ve all joined forces to make a hell of a franchise, a dichotomy to DC that does not countervail but brazenly excels past it. If you’re not on the train yet, get on it because Marvel doesn’t break for nobody. My score for Captain America: Civil War: 98. With a cast that flourishes in their own personas, stunt choreography and action design that manages to outdo itself time and again, a writing crew that refuses to regress and direction that sculpts it to the point of transcendence, Captain America: Civil War is the best product that Marvel has ever put out. Blockbuster season might have just started, but Civil War has already reached the finish line. The Muscles from Brussels himself, Jean-Claude Van Damme’s first notable contribution to film came with this martial arts fiasco, Bloodsport. Fiasco and its negative connotation belong in that sentence. Bloodsport is like a friend we all have. They’re nice, but they go on tangential stories that hold no connection to the current discussion and the further they get into discussing this oh so important narrative, the less interested we are and the more monotonous it gets. Bloodsport is a similar animal, a movie all too gracious in parading Van Damme in front of the camera but never granting him access to his character, exploring yet another romantic subplot that has no foothold to stand on and a plot that all in all doesn’t accomplish much of anything. I am so tired of talking about failed romances in film. It happens over and over and over and you notice how this sentence drags on and on and on with no purpose like an obnoxious teenager who has to write a longer sentence than you to buff his ego or perhaps he just thinks he’s better than you, as if his ability to write a longer sentence makes a difference, but surprise, it doesn’t because all its accomplishing is what every obligatory romantic subplot seems to accomplish these days: a predetermined course on the road map that everyone has already crossed over, transforming what was once an adventure into a mandatory exercise reminding us how boring our lives are. A rant that it is completely deserving of, Bloodsport’s “romance” leaves me apathetic. It’s not febrile. A more apt description would be toxic or nocuous. It is broomed in like a corny Hollywood staple, riding the coattails like a child being dragged by a parent. It’s a cooperative game of pin the tail on the donkey. This is the seventh consecutive film I’ve reviewed in which our combatant is underscored. Frank Dux is driven by honor and even that stigma, which is all we are given as to his aspirations or basic mindset, is left in the corner of obscurity. Bloodsport is a film that loves to use the same colors from the palettes of the past, never pursuing any sort of originality or creativity in its strokes. 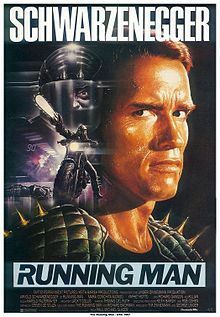 With a stable of bodybuilders at its disposal, the stunt choreography is raw and gritty, but also premeditated and clearly scripted at times, which wipes away any tonal arpeggios the stunt work might have created otherwise. A fighting film is meant to lean on its stunt work and yet it doesn’t surpass the standards set for a run-of-the-mill action film. 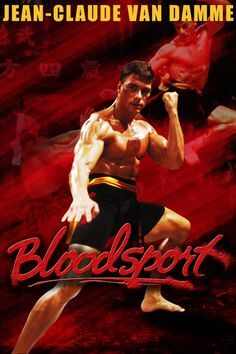 If anything, Bloodsport should be a monument to martial arts, an honor to the fighting styles established by the Orient, but it isn’t. Newt Arnold’s piece doesn’t have a big picture. It doesn’t have the details, the supplements or the essence of anything. It just….is. The dialogue is choppy, leading to further character introductions that come and go, minimal character development and a cache of clichés that can’t help but burst out the seams, the front and the back door. The only reason to watch this film is for Van Damme. This was the film that got his name out there despite the Golden Raspberry nomination he received for his performance, but I assure you, you’ll live if you choose not to see it. My score for Bloodsport: 41. A short review for today, but it’ll have to do. A bloated, bumbling moron of a film like Bloodsport doesn’t deserve any better. The Crow is a unique revenge tale that features a film noir original in its own right and a character whose mystique carries a certain extravagance despite a thin bedrock. Sadly, The Crow is not known for these things, but for the accidental death of Bruce Lee’s only son, Brandon Lee, the film’s lead character. When I first watched this film, I saw its potential and at times, dark reverberations for this type of fantasy sketch. Then I discovered Lee’s unfortunate passing in a gun accident on set. Knowing someone died making this film adds a solemn morbidness to its pages and, whether meant to or not, it adds a nuance that perforates through each scene once you have that information at the back of your mind. It was already a comic that perused the recesses of city crime and the vileness of humanity, the despair that follows and the mourning that ensues and the bitter hopelessness of it all. 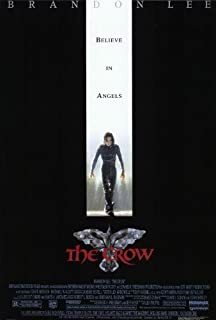 Like the film’s poster, which I believe is purposefully crafted, the Crow as a character serves as an angelic paradigm, but not one without scorn. He goes unnoticed for the majority of the film and few know that he ever existed, but the aftermath of his actions, those are evident. It is a film that’s contrast weighs partial to one side and begins to tilt back oh so slightly by the conclusion. We don’t feel comforted. We still feel fear, but we’re left with the suggestion that something or someone is looking out for the greater good. Unlike the comic book heroes we see popularized today, this one does not seek the spotlight. He’s not photographed for newspapers. He’s more myth than man. He is the Crow. The visual tone and aesthetics add to this mirage, this obscurity, never showcasing where this story originates or who’s affected by it. It’s vagueness suggests a city, but the mindset of the characters we are introduced to advocate a worldview, not a perspective, almost a blind acceptance that this is just how it is. Everyone’s eyes appear to have turned inwards like a caged and battered dog afraid to ever leave the false comfort of his barriers. This aura fixates on the film’s scenery, which is incessantly derelict and showers a visual equivalent of an endlessly blaring bellow of a prison riot onto the screen. Both effective and efficient, this visual style allows for more character development and less background dissertation. Removed from its impressive decorum and the myth of the Crow, Alex Proyas’ superhero installment doesn’t have the character writing it should nor does it take advantage of the said space its cinematographer gifts it. The Crow is a myth to everyone, including his audience. We’re shown his pain, what happened in the loft in which he and his fiancee are viciously murdered but he never puts it into words. The lines of dialogue that craft a superhero into who he is aren’t here. The mind of an artist and a playwright, Eric Draven is left to his theatrics and tour of vengeance, abandoned to his own devices rather than his own identity. This reincarnation of Draven isn’t Draven so much as his body is a vestiture for the Crow to do his dirty work. Draven’s character is swallowed up by the persona of the Crow, which would be akin to knowing Spider-Man but never knowing Peter Parker. The power and allure of Spider-Man is handicapped if we never know who’s behind the mask and that’s what we see here, a man who no doubt has an agenda and higher calling aside from this vigilante tirade, but a person we never know. Brandon Lee’s performance is the best you can get from a character write-up I found to be lacking. He had talent and what he gives us here, albeit underscored, is worth remembering. Michael Wincott is, like every character in this story, left half buried, but serves as an odd enough persona to create intrigue. Even Ernie Hudson, from Ghostbusters fame, is just learning what’s going on when the work concludes. My score for The Crow: 67. The Crow is a film with impressive side dishes, but one that could have made a bigger splash had its main course, most notably its characters, been as thoroughly detailed as its decorum. A box office bomb and critical failure, D-Tox didn’t even recoup 20 percent of its $55 million budget at the box office. Pair all that with a molding 15 percent on Rotten Tomatoes and D-Tox looks like a film that you should go out of your way to avoid. That says a lot about this film, about how creative differences and key departures, perhaps more than anything, can upset the balance of, as Stallone called it, “a very delicate creature.” We saw it with Fantastic Four last year and this seems to be a similar catastrophe. Or is it? D-Tox, when you consider all the debris they had to grapple around, doesn’t give the feel of death like Stallone suggests, at least not to me. This 2002 thriller has some life, a decent cast list and has enough purpose to suggest that the project was still unified in some pursuits. Despite how lifeless the crew was, according to Stallone, it’s not noticeable. This film isn’t that bad. Avalanche Sharks drew a lot out of me the other day and seeing a film get the bare bones of story down, even if little else accomplished, left me feeling refreshed. If I had watched this another time, this film is probably dropping a few more pegs, but in my present state, I’ll take it. That’s not to say I’m going to be rushing back to see this. This is the last time I’ll watch D-Tox, mostly because it doesn’t have any staying power. As a journalism major, we’re taught in our college classes the value of the hook, snatching audiences and not letting go, continuously pulling like a pesky fisherman. It’s how we keep people engaged, lure them in. D-Tox doesn’t have that. In its multiple character changes, re-shoots and score rewrites, both Universal and the crew forgot what the purpose or inherent interest was in D-Tox. There’s a story here, one I would argue is worth telling, but the film deals with a self-identity crisis alongside Stallone’s Jack Malloy from start to finish. It’s a thriller that is appealing to me because it’s Stallone and I still am at a stage where a few select actors can pull me into a project regardless of the critical hammering said project has taken. Remove Stallone and I never purchase nor hit play. If D-Tox captures anything, it’s the staying power of Stallone, who single-handedly makes this enjoyable, at least for me. I use the term enjoyable loosely here. As a critic, it’s not there and I completely understand the hate thrown its way. As a member of an audience, I’ve paid to see worse films this year. While this film doesn’t thrill, if you’re willing to jump without much initiative to do so, you can feel like you’re watching an above-average episode of Castle. Castle isn’t a good show and one of my gripes with it has always been its lack of tension. I’m never concerned about anything. Everything about the show is so trivial and one-note that I feel free to be careless and in this particular case, not care. That’s why I never watch Castle unless I’m morbidly bored. The front of D-Tox feels rushed, a little too excited to get out of the gate. I have to fault its giddiness because it fillets the introduction of our main conflict and forgoes screen time for Stallone to work with his character. Show us our hero so we can feel the weight that comes down on him. The way the material is put together, you can remain detached. The characterizations don’t do much for me here either. One-note and excessively clichéd, actors that I know are capable of better than this are left playing Pictionary with the most basic subjects, leaving it all too easy for a semi-intelligent viewer to put every character into their respective niche within the first five minutes of being introduced to said character. Robert Patrick, known for his superb role in Terminator 2: Judgment Day, is so underused here it might be criminal. Rather than playing a character that could be a suitable counterpart to Stallone’s Malloy, Patrick is just kinda there. Kris Kristofferson has a great name and little more and Tom Berenger is another actor that doesn’t need to be here. These roles don’t have subsistence to offer. They are scrawny chicken wings that don’t even have the spice or kick to suggest they might be worth getting your hands dirty. If you’re starving like I was, have at it, but if you’re moderately nourished, you’ll know when you can do better. My score for D-Tox/Eye See You: 57. If you feel like something mediocre, D-Tox isn’t a bad pill to swallow, but if you’re looking for high-quality entertainment, look elsewhere. As a kid, a shark was an animal that swam in the water. My parents reminded me every time we went to the beach how important it was that I didn’t go too far in the ocean. I had to be wary of sharks. Sharks are dangerous for obvious reasons. However, the greatest deed that a shark ever accomplished was not in the water in which it inhabits, but on the screen. Shark movies have made history. Whether it be Jaws, a milestone in film, or Sharknado, a milestone in comedy, sharks have created their own genre. This can be accredited both to the Syfy channel’s persistence to parade some of the most bizarre scripts known to man and the concept that has turned into an enormous bandwagon for the Hollywood market. The need and demand for shark movies is insanely high, probably far higher than it should be and yet, the more ridiculous the title and the story get, the more marketable it seems to be. Sharknado was nascent and now it might be one of the most recognizable phrases in pop culture. It has spawned two sequels and despite the direct-to-DVD stipulation, fans are still talking about it. Sharknado 4 is expected to be released in July and while critics such as myself continue to question this phenomenon’s longevity, it continues to prove us wrong effortlessly and I, guilty as charged, will continue to pay for it. A while back, before the Sharknado sequel officially came out, there was a film called Avalanche Sharks being advertised. It was rumored to be a Sharknado spinoff, although that was never confirmed. However, the idea of another shark movie even loosely connected to Sharknado was a great marketing pitch. I remember watching this trailer and the feeling I had afterwards. You would think that feeling would be one of malcontent, but I was genuinely excited. This film screams awful, from the acting seen in this minute-and-a-half clip to the special effects or whatever you want to call these visuals. It is bad, purposely so and I was thrilled. Few films acquire such a taste from an audience. Not many people are going to watch a bad trailer showcasing an even worse film and react with a glorified acceptance speech about how he and his compadres must see this film. Whether you hate or love these incompetent products, you have to admire the marketing side of the spectrum. With all that set aside, let’s talk about Avalanche Sharks. The plot is absurd and that’s expected and wouldn’t bother me if it wasn’t for the multitude of sideshows we get introduced to, the continual leaning of the film on these Styrofoam characters and the blatant disregard for what started the shark problem in this film in the first place. When you find out, you won’t be upset. You will be outright fuming like a Harley Davidson that’s been running for the last 24 hours and has reeducated its rider about the term “overheat”. It might be the worst cop out in film history. There’s no reasoning. It just is and by just is, I mean just is stupid. There’s a difference, I believe, in any pursuit, between making something purposefully bad and going out of your way to make someone hate themselves for ever being invested in it. Avalanche Sharks is the latter. Will it turn me off to the shark genre? No, I have thicker skin than that, but I’m still peeved at the level of obnoxiousness this film reaches. There is some talent required to make a film purposefully bad while still making it mildly appealing and entertaining. The Asylum is especially good at this. Believe it or not, to act bad in an entertaining way, you must have a basic understanding of how to act well. It makes sense when you think about it. To know what not to do, you need to have an understanding of what you’re supposed to do and then incorporate some of both. If you don’t know how to act and you just wing it, you end up with a movie like this, where no one has any idea how to produce anything of substance. The actors in this film have an elementary understanding of how to be a moving piece in a big picture. Aside from its blatant amateurishness, although that might be too polite a term, the acting portrayed here is lifeless and walks the tightrope of overdramatization and effortlessness. Easily detached from the plot, my mind was the battlefield for a quandary: What do I discuss in this review: How is it possible for anyone to be this bad at anything? Are the actors trying to be this bad or are they actually this bad? The acting underscores any reasonable standard that should be held in a professional environment, even an infantile understanding of the subject of film and theatrics. I’m convinced after Avalanche Sharks’ 82-minute run time that the actors are abusive to any mind. This cast is utterly useless at something and I believe that’s the only takeaway to have after this movie: Know that no matter what you do, you’ll never be as bad at anything as the cast of Avalanche Sharks is at acting. With the film soured as a whole, any screenwriting delights (of which there are none) are overtaken. The visual effects warrant no admiration and there are far too few sharks for this escapade to carry any enjoyment down the slopes to viewers. My score for Avalanche Sharks: 21. This review was hard to write and if you wish to gather a gist of why that is, feel free to hit play on this Medusa. Otherwise, stay far, far away or else you might be turned to stone for a few days, too. What Lacob, now the majority owner of the Warriors, has done is brought the franchise not only stability, an attribute every franchise strives to reach, but the ability to continually adapt itself to both its sport and its fan base. There is more discussion about the Golden State Warriors right now then there is about any team in professional sports and not just because the NFL season concluded in February. Even during Carolina’s impressive Super Bowl run and the emergence of Denver’s suffocating defense, the world’s spotlight was on Golden State. The Washington Capitals this year have had one of the most dominant regular seasons in NHL history, amassing 116 points and 55 wins, a total that could reach 59 by season’s end, putting them just three games back of the all-time record of 62 set by the 1995-1996 Detroit Red Wings (The Capitals ended the year with 56 wins and 120 points). They, too, have gone almost completely unnoticed. 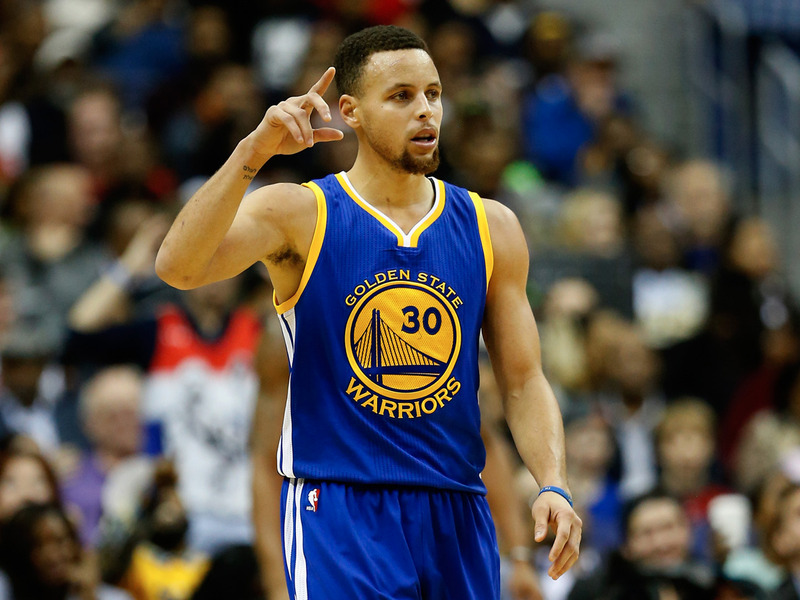 Stephen Curry is the team’s best player and one of the most marketable players in professional sports right now. He leads the league in jersey sales, further promoting a brand that’s so fresh and new it feels like it was created in a cauldron full of athletic prowess, statistical perfection and revolutionary ideology. Tradition establishes branding, but what tradition did Golden State have the last 20 years aside from their historical record of losing? None, so Golden State has done the only thing they could do: create their own. There are some who will call the Golden State Warriors a bandwagon team because of the increased fan base and perhaps they are, but it’s hard to argue a team that wiped the slate clean and formed not only a team of extraordinary athletes but one of sports’ best marketing campaigns and branding accomplishments aren’t worth admiring. Lacob has put together the preeminent team of professional sports, a team that astounds not just in its play but in its selflessness. Earlier this year, Draymond Green said that the Warriors nearly lost a contest “due to my selfish unselfishness” in his pursuit of a triple double. That is a quote that, if said before, has not been said in a long time and one can imagine won’t be said again for years. In few situations has a player ever been so selfless that he viewed it as a negative. Green’s quote says something not just about himself as a player but about the team as a whole, that they sometimes are so driven for the perfect shot and to orient their teammates into the scheme of things that they sometimes overthink. As rare a quote as it might be, the idea that such a quote could come from someone donning a Warriors uniform shouldn’t surprise anyone. As Marty Fukuda of Entrepreneur pointed out, not only is the team known for its high-character team members, the Warriors have a bias towards homegrown talent. They have grown the core of their team through the draft and have avoided the hassles and endless discussions over free agent signings. The Warriors have developed their assets and promoted from within, giving players the incentive to continue to put forth their best. Visionaries shape the industry and right now, the Golden State Warriors are a franchise of visionaries. He acknowledges there’s something special about this team and that fans attend not just for how legendary this team is becoming, but for the entertainment that pairs with that. Andy Liu of Golden State of Mind agrees, saying, “out in the open, on the open court that the Warriors completely dominate and destroy opponents on, the Warriors shimmy, celebrate, smile and play the game of basketball the way five-year-olds do: for fun.” Nothing makes a ticket price look more reasonable than a team who desolates opponents and portrays the joy of a five-year-old. With all the questions this team has answered over the last couple of months, one of the most meaningful ones might be who doesn’t want to watch the Warriors? Those who don’t must hate dessert, sunshine and the laughter of children, too.